Publisher: Boston, Mass., Pub. by the New England historic genealogical society, at the charge of the Eddy town-record fund Publication date: 1910 Subjects: Registers of births, etc. 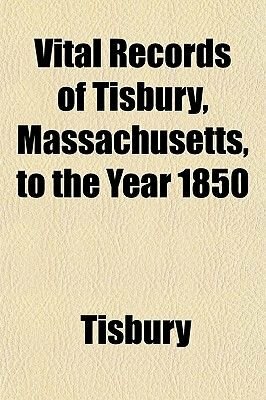 -- Massachusetts Tisbury Notes: This is an OCR reprint. There may be numerous typos or missing text. There are no illustrations or indexes. When you buy the General Books edition of this book you get free trial access to Million-Books.com where you can select from more than a million books for free. You can also preview the book there.